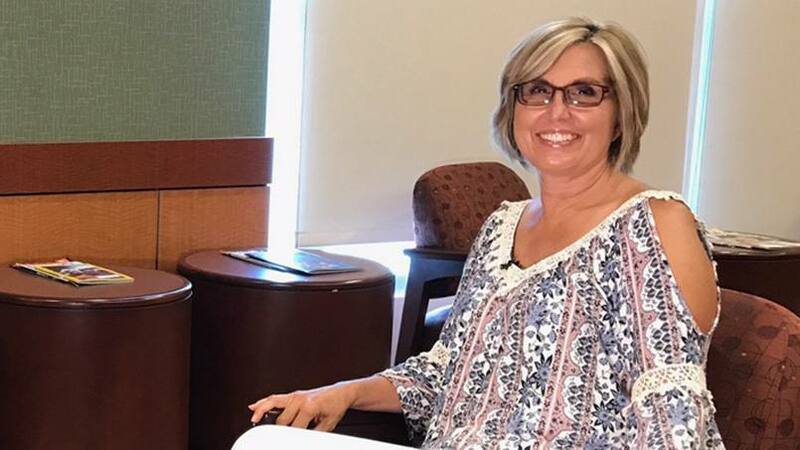 After living with seizures for more than 20 years, Peggy Cardona found relief at Mayo Clinic. Doctors used a technique called brain mapping to remove a lesion in Peggy’s brain, eliminating the seizures. For more than two decades, Peggy Cardona lived with seizures, sometimes nearly a dozen each month. She’d been to a number of doctors and tried countless medications, but nothing put an end to the seizures. They "affected her ability to process words and formulate sentences," according to CBS-47 in Jacksonville, Florida. "I walked around in a cloud for years," Peggy tells the station. That changed last year, when Peggy came to Mayo Clinic's Florida campus. An MRI confirmed that a spot on her brain near an area that affects speech was a tumor. She'd had previous scans, but due to the location of the tumor, no one wanted to do surgery. At Mayo, after confirming the tumor's locations, doctors agreed to do surgery thanks to new techniques available to them. Peggy's care team at Mayo wanted to remove the problem tissue, but they'd need to do so without damaging the part of the brain that controls speech. So they’d use a technique called brain mapping, which would require Peggy to be awake during the operation. Because there are no pain receptors in the brain, she wouldn’t experience any pain. Read the rest of Peggy's story.